'MLM' The American Dream Made Nightmare: Austrian Ministers refuse to identify what lurks behind the 'Lyoness' lie. Austrian Ministers refuse to identify what lurks behind the 'Lyoness' lie. The Lyoness Complaints Centre has reported that Austria's Finance and Justice Ministers have finally given responses to some technical questions about the 'Lyoness' racket. These were tabled two months ago by an extreme right wing member the Austrian parliament, Gerhard Huber. In brief, due to the nature of the questions, the Ministers concerned have been allowed to behave like amoral robots - refusing to give a clear warning to the public on the grounds that since Austrian prosecutors are already investigating 'Lyoness,' statements by Ministers might compromise the investigation/prosecution and fall foul of Data Protection legislation. Do you honestly believe that Austrian citizens, or indeed anyone, can generate extra income by handing over their money to 'Lyoness' and by trying to recruit everyone whom they know to do the same? Has anyone in the Justice and Finance Ministries considered the possibility that the author of the 'Lyoness' lie, Hubert Freidl, might be suffering from severe and inflexible Narcissistic Personality Disorder, and that his absurd, but nonetheless dangerous, paranoid delusions (in which he sees himself as a morally, and intellectually, perfect world economic-saviour who is being unjustly-attacked by lesser mortals) are potentially contagious? Austrian Justice Minister, Beatrix Karl. All this makes me wonder how these morally, and intellectually, feeble Ministers have the cheek to cash their fat salary cheques; for, in theory, they have sworn an oath to protect their employers (the people of Austria), but, in order for them to do so, they will have to start looking beyond the ends of their noses and apply some serious thinking. What can be deduced from this strangely-familiar, parliamentary tragicomedy, is that, in general, Austrian politicians are no different to any other elected representatives around the world; in that when they are faced with a dissimulated, totalitarian threat to democracy and the rule of law, but which they don't understand, instead of behaving like responsible adults and telling the truth, they behave like irresponsible children, by putting on a transparent act that they know exactly what they are doing. It should be remembered that the ongoing, major, organized crime group known as 'Lyoness,' is neither original nor unique and, consequently, it cannot be fully-understood in isolation. 'Lyoness' has been maliciously set up (exactly like the Italian-American 'Mafia', 'Scientology', 'Amway', 'Herbalife', 'Second KKK', 'Thule Society', 'Nazi Party', etc ) to a perverted, and mystifying, esoteric pattern designed to prevent, and/or divert, investigation and isolate its bosses from liability. It is no coincidence that Hubert Freidl chose the ancient, mystic name, 'Lyoness,' and the ancient, mystic symbol of the triquetra to hang on the external façade of his cultic racket. In simple terms, the truth remains unthinkable to members of the Austrian government and to the Austrian authorities, because they have not only completely failed to recognise this blame-the-victim cultic racket dressed-up as an 'innocent cash-back scheme and income opportunity,' and allowed it to grow unchallenged in their own land, but, by doing nothing, they have allowed it to spread all around the globe. Given the tragic history of Austria in the mid 20th century, and the fact that familiar red-flags started to appear around Hubert Freidl even before he instigated 'Lyoness' , it seems inconceivable that today, Austria's elected leaders are again incapable of looking beyond the ends of their noses. It would also be interesting to know just how deeply führer Freidl has managed to infiltrate Austrian politics. You are lying because this is not the job of Austrian government to decide what is fraud. Presumeably the author of this puerile comment believes that the Austrian law which defines and forbids fraud, came about by some miraculous procedure which didn't involve human beings. As far as I'm concerned 'Lyoness' is such an obvious closed-market swindle or pyramid scam (because its instigators cannot produce one shred of hard evidence to prove that their so-called 'income opportunity' has had any significant, or sustainable, source of revenue other than its own losing victims), that any Austrian government Minister or senior law enforcement agent, who has been incapable of looking beyond the end of his/her nose and warning the public accordingly, is not worth the salary he/she has been been paid. OK the Austrian government decides what is fraud. You know what I meant was the Austrian government doesn't decide individual cases of fraud. If this was a difficult matter to judge, then perhaps this anonymous commentator might have a point, but in the case of 'Lyoness,' the fraud has been so obvious, that the refusal of the Austrian Justice, and Finance, Ministers to act responsibly and give a clear warning to the public, has been tantamount to an endorcement of an ongoing fraud. If Austrian Ministers are paid to protect the public, but forbidden to express their thoughts (even in defence of the public), then what's the point of paying human beings not to answer parliamentary questions? Fraud is never a simple matter to judge. On the contary, the 'Lyoness' case is a blindingly simple puzzle to cut through, once you apply basic common-sense; for, despite all the mystifying 'commercial' and 'mathematical' hocus-pocus, no real money has been flowing into 'Lyoness' dissimulated closed-market swindle other than that coming from its own victims. Once this is clearly understood, it becomes immediately-obvious that the 'Lyoness' fraud is completely absurd, and should have been recognized, and shut down, many years ago. 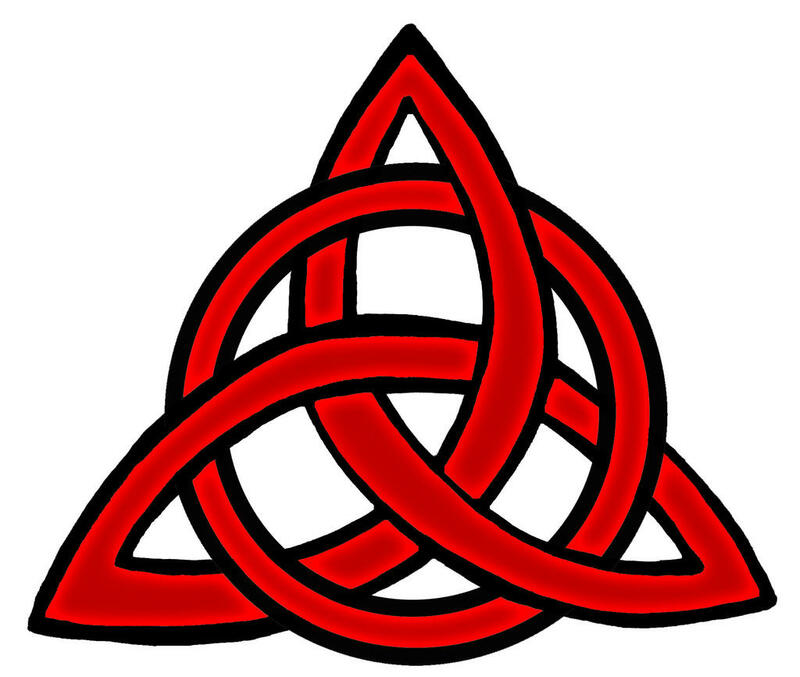 The 'Lyoness' logo of a triquetra can, therefore, be seen as a 'Gordian knot'. In fact, typically of an arrogant narcissist, Hubert Freidl has used this ancient mystic symbol to demonstrate his supposed intellectual-superiority and to ridicule all casual observers whom he considers to be his intellectual-inferiors. However, the absurd trick which this mediocre little parasite, Hubert Freidl, has been pulling is neither original nor unique. In the allegorical story of the 'Gordian knot,' Alexander the Great is presented with an ancient puzzle which is so complex that no one has ever been able to unravel it. Instead of wasting his time attempting to untie that which has been deliberately constructed so that it cannot be untied, Alexander applies basic common-sense and cuts staight through the 'Gordian knot' with his sword. Looks like your brain is stuck duck in a dry pond. Great insightful answers David. Thanks Ex-Ambot - Notice how this anonymous commentator doesn't offer any opinion him/herself about the 'Lyoness' racket and, instead seeks to defend the sitting Austrian government for offering no opinion. Perhaps 'Anonymous' is an amoral member of the current amoral Austrian government or one of their amoral advisers? Interestingly, a general election is due very soon in Austria. i am greek and i use cashback card for the last 4 months.last few days, i heard many things about lyoness and i decided to search about it.i can not find many thinks.is this symbol pagan?where can i find more informations about them?i need help, ineed links, i need more informations.can you help me?